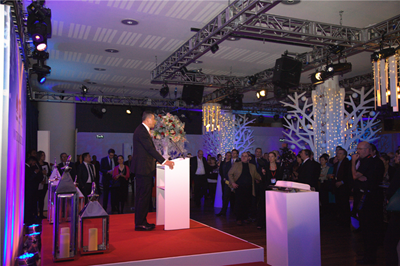 It is a pleasure to join you again for the winter concert of Huawei Technologies UK. 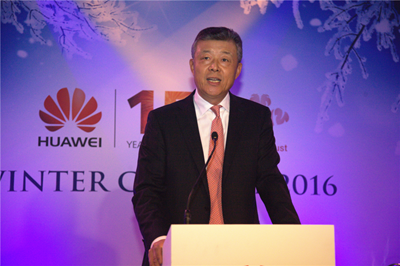 This is the seventh consecutive winter charity concert that Huawei has hosted in London. Ten years ago, Huawei UK became a member of the Prince's Trust. Ten years on, Huawei UK is highly acclaimed for its devotion to charity and strong sense of corporate social responsibility. But much more than that. Huawei UK is also a proud leader in the construction, research and development of high-speed broadband network in Britain. In Huawei UK, we see a fine example of Chinese company doing business in this country. Last year, President Xi Jinping visited Huawei UK during his "Super State Visit" to Britain. Last month, when Vice Premier Ma Kai was in Britain for the China-UK Economic and Financial Dialogue, he visited the 5G Innovation Centre, a cooperation project between Huawei UK and the University of Surrey. On 28 June this year, five days after Brexit Referendum, Huawei UK announced that it will go ahead with its planned 1.3 billion-pound investment. That was a clear vote of confidence for doing business in the UK. Huawei's success in Britain is a microcosm of the overall China-UK business cooperation. It also heralds a future of even stronger business ties between our two countries. I hope Huawei UK will continue to work for sustainable development. I hope your business will grow stronger and I hope you will continue to give back to the local community. I am sure your continued success in this country will help build stronger business relationship between China and the UK. I want to encourage more Chinese and British companies to sign up for China-UK business cooperation and contribute your part to the "Golden Era" of China-UK relations!